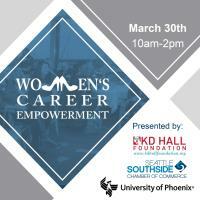 Close out Women’s History Month with Seattle Southside Chamber of Commerce, KD Hall Foundation & University of Phoenix. There will be inspirational and thought-provoking panelists and workshops to help you add tools to your corporate tool belt as well as a proclamation from the Mayor of Tukwila Allan Ekberg. In celebration of women, this conference is FREE. There is limited seating available! Diane Penoyer - Director of HR , Mattress Firm, Inc.